This delightful image by Ravensburger features a collage of unique and vintage birds stamps, spread across a 300-Large Piece puzzle. This beautiful image is ideal for framing and hanging upon completion! 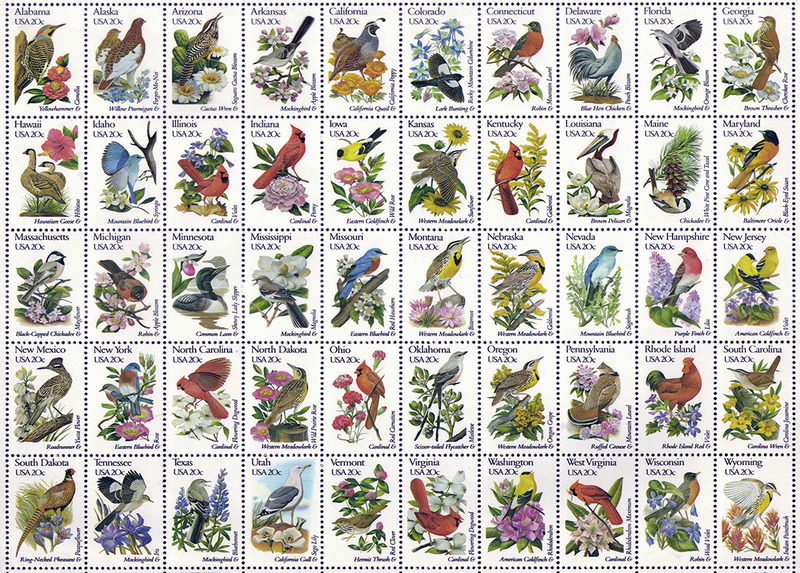 Birds from around the United States come together in this collage of postage stamps illustrated in amazing detail and colors and patterns all unique to each flying friend. Stamp collectors and puzzle masters will all appreciate this large adult puzzle as cardinals, blue birds, finches, Hawaiian geese, pelicans and much more are all crafted in great detail with crisp lines illustrating the depth of feathers, wingspan and facial characteristics. Deep reds, yellows, blues, oranges, pinks and browns all show these birds in their true beauty and flowers and trees in the background present a habitat and nesting grounds for America's favorite birds. I chose this puzzle for my oldest friend who was the first female in her corporation in the 60's - very intelligent, personable, astute, gentle lady. Now she lives in a nursing home and dealing with dementia. She loved nature and the 50 States Bird Puzzle is appealing to her. It's like having 50 puzzles in one! She has the satisfaction of completing one "state" in a shorter time than if it were one large picture. Physical therapists told me that puzzling is good for us - it helps us move around, helps us think, helps us plan ahead. Thank you for creating such a beautiful puzzle - and under 1,000 pieces which would be too many for my friend. This puzzle contains almost plastic like pieces of puzzle that are large in size. The puzzle was not very hard to put together but is very beautiful when finished. Like most Ravensburger puzzle I have put together the pieces do not stay together when trying to move them in bunches that are already together, but you also know when you have the right pieces together because they slip right together without any difficulty. I would recommend this puzzle to most any age of puzzler.